NetEnt Gaming has decided to redecorate and update its famous mobile slots for touch devices. Flowers video slot is one of the most played NetEnt mobile slots which is now playable across all the touch devices like smartphones and tabs. The quest gives players a platform, which operates precisely on their portable device and allows them to use all the useful functions. This video slot allows you to bet from £0.01 to £0.50 per line. It is a 5×3 reel and 30 fixed payline setup that seems quite attractive because of its bright graphics and entertaining music. 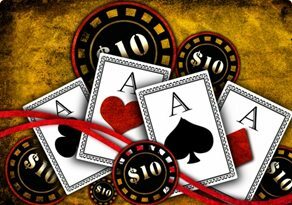 You can play bets as little as 30 cents and as maximum as £75, depending on your gaming skills and game-play strategies. Flowers is all bright and colourful! Flowers is now also available to be played on touch devices, but the theme is the same as the original version, which was up for playing before the Christmas Edition of the game was out. There is bright blue background and transparent reels spin in the middle. Developers have tried their best to improve the visual appeal of the game and they have succeeded with the help of quality graphics. All the symbols in Flowers are same as they are in the PC version of this game. You get a red rose, green plant, a bluebell flower, sunflower and white flower as high-value rewarding symbols. Two high-value symbols can land together at the same reel and same betline. It means, one or two extra symbols at the same betline can increase your winning prize. This game also features slot game symbols from 10 to Ace. The Sun is the wild symbol in this game and cloud is the scatter symbol. Flowers slot has two special bonus games including the wild and scatter bonus features. The wild symbol behaves in the same way as it does in other slots. Landing on a wild anywhere in the slot machine can help you in winning a bigger prize. The free spin feature is triggered with the help of scatter symbols. You can win 10 free-spins by landing on 4 clouds anywhere in the spinning reels. Landing on 5 clouds would help you in winning 15, 6 will reward 20, 7 clouds will reward 25 and 8 clouds can reward you 30 free spins. You can utilize those 30 free spins to land on some great winning combinations and get a chance to win5000x of your bet. Three stacked wilds can appear on the reels to enhance your winning prize. A wild can replace other symbols, except the scatter symbol and thus you can create a better winning sequence of symbols. Along with the above-given bonus features, landing on more than one double symbols on the same betline would be a lucky spin for you. The double symbol feature can add some extra amount to your wins. 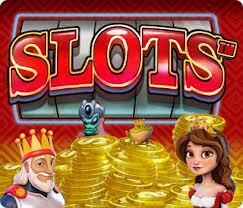 NetEnt Gaming is trying the best to turn its mobile slots into touch-device compatible slots. Flowers slot brings some new treats and amazing rewards to your door via your Smartphone and tabs. Play it now and enjoy the real thrill of gambling.